Some of you may have noticed but for those who didn't I've joined the Ann Butler Designs design team. Ann is a fellow designer who has some great inks and stamps that are so fun to play with. 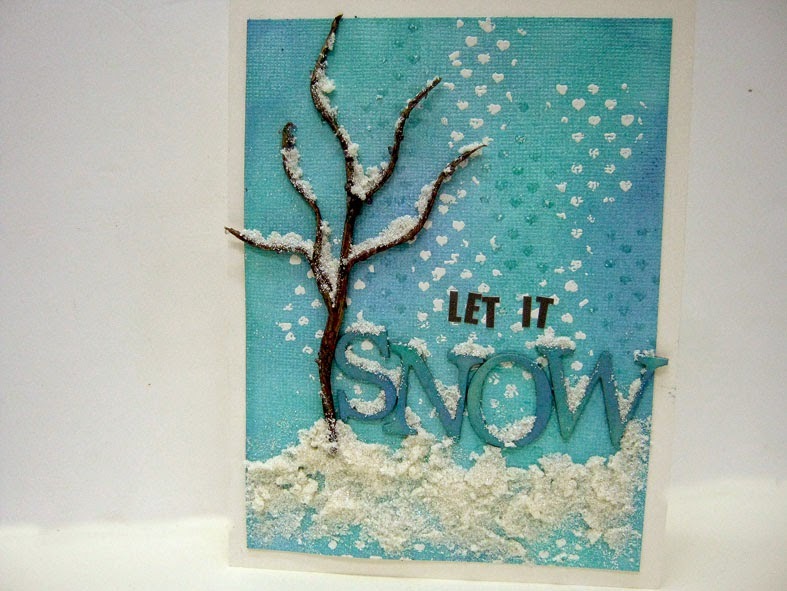 For this Christmas card which is part of the 12 cards of Christmas 2014 series I used Ann Butler's inks and stamps to create a snowy winter scene. I started with Ann Butler's inks I used Lilac and Aquamarine to create the background. 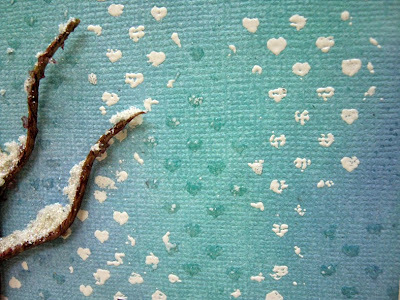 Then I stamped the background with Ann Butler's EZ De's hearts clear stamp. 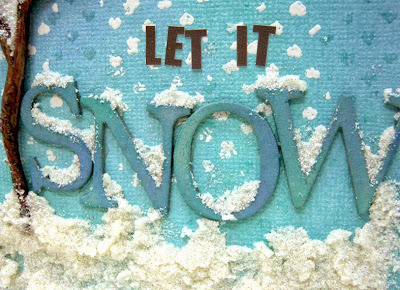 I embossed some of the stamped pattern with Clearsnap clear embossing powder and the other with white powder to create an effect of falling snow. I colored chipboard letters with the same ink colors and set the ink with a heat tool. 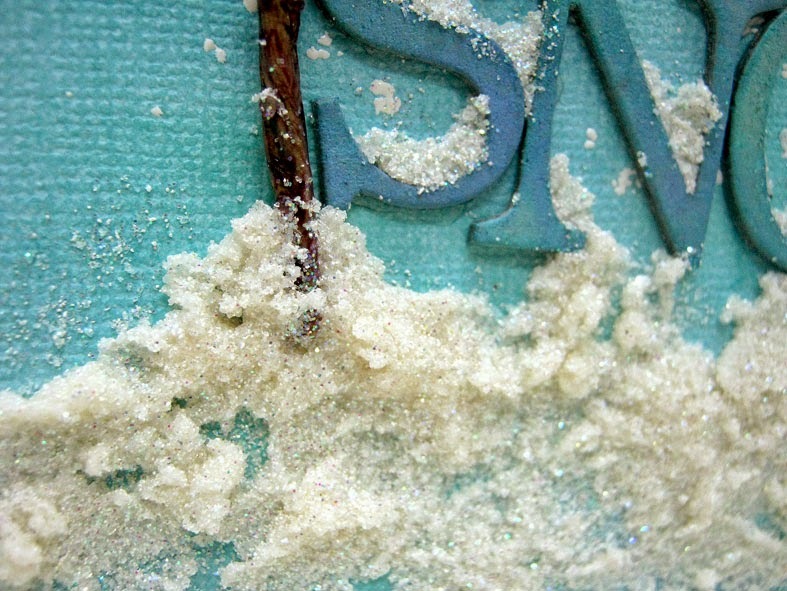 I created snow from white and clear UTEE and glitter mixed with glossy accents. To assemble the card I took a Prima Marketing vine and glued it to the card. 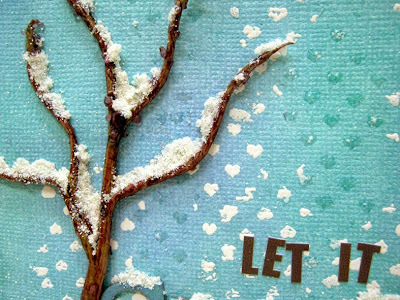 Then I added the snow on the bottom of the card and on the tree branches. 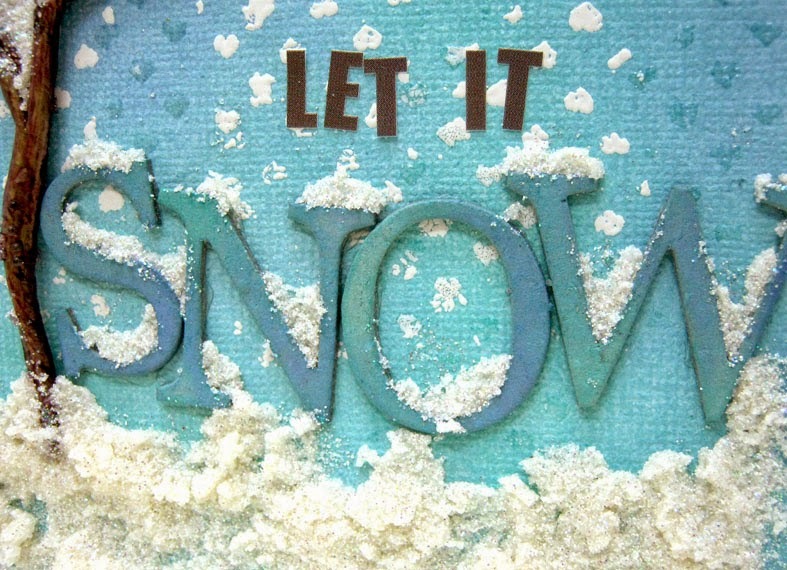 I added the letters and add a little snow on them as well. To finish the card I added letter stickers to complete the sentiment. For full instructions, tips and more watch the video tutorial. Love this Einat! Using the different embossing powders is brilliant!